Dr. Irene Nagel-Jachmann studied Psychology with a focus on cognitive neuroscience at Maastricht University and the University of California, Berkeley. For her PhD she returned to Germany to the Max Planck Institute for Human Development, Berlin, where she investigated cognitive development across the adult lifespan. She continued this work as a postdoctoral research fellow at Freie Universität Berlin and in parallel was engaged as associate doing voluntary work on social mobility at a foundation. She trained as a systemic consultant at ISB Wiesloch. Furthermore, she earned specialized qualifications in demographic consulting and resilience training. 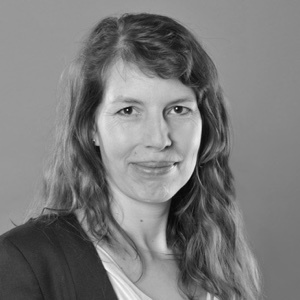 Currently she is a freelance trainer and consultant, and teaches at a Swiss university. As a consultant and trainer Irene is interested in the question how we can design work contexts to promote development on a personal and organizational level and to encourage people to unfold their competencies in way that fosters resilience, health and motivation. Throughout her scientific career Irene often noted that the strong focus on scientific excellence among researchers left little room and interest for professionalization in the fields of project management, leadership and communication. She believes that strengthening competencies in these fields will promote both, scientists' productivity and well-being. She therefore is excited to engage in an enterprise where she can contribute to advancing such competencies among scientists by bringing in her psychological knowledge, her familiarity with scientific environments, and her experience as a trainer. The value of stupidity in scientific research – Science implies confronting us with our “absolute” stupidity. Advanced Courses on Leadership and Management Skills are available!